Award Year: 2000 Despite the high level of attention on health care discrimination during the debate over the Civil Rights Act of 1964, health care as a civil right has received relatively little attention since enactment. By examining the potential for using civil rights law to address disparities in access to care and health outcomes, the investigators will create a new framework for applying Title VI of the Act to today's health care system. The project addresses major policy questions in relation to Title VI enforcement efforts at a time when health care services have been transformed and dominated by integrated delivery systems. Professors Rosenbaum and Teitelbaum will evaluate the need to modernize the legal structure of Title VI to account for delivery system changes. Their work will provide policymakers with a clearer picture of health care discrimination, remedies for discriminatory practices, and legal principles on which the duty not to discriminate should rest. Sara Rosenbaum is the Harold and Jane Hirsh Professor of Health Law and Policy and chair of the department of health policy at the George Washington University School of Public Health and Health Services. Professor Rosenbaum also directs the Hirsh Health Law and Policy Program and the Center for Health Services Research and Policy and holds appointments in the School of Medicine and Health Sciences and the Law School. 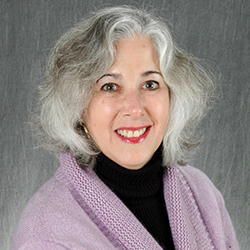 As a scholar, an educator and a national leader, Professor Rosenbaum has dedicated her career to promoting more equitable and effective health care policies in this country, particularly in the areas of Medicaid and Medicare, managed care, employee health benefits, maternal and child health, community health centers and civil rights in health care systems. Her commitment to strengthening access to care for low-income, minority and medically underserved populations has had a transforming effect on the lives of many Americans, particularly children. In addition to her responsibilities as chair of the department of health policy, which she founded and developed, Professor Rosenbaum is director of the Center for Health Policy Research, the institutional home for many of the department's research activities, and Director of the Hirsh Health Law and Policy Program. As a mentor, she is drawn to young people interested in improving health care for the poor. Professor Rosenbaum has been named one of the nation's 500 most influential health policy makers by McGraw Hill. Among other honors, she has been recognized by the Department of Health and Human Services for distinguished national service on behalf of Medicaid beneficiaries. As a member of the White House Domestic Policy Council under President Clinton, she directed the drafting of the Health Security Act and oversaw the development of the Vaccines for Children program. In 2012 she was elected to the Institute of Medicine. Rosenbaum, S., Painter, M.W. When New is Old: Professional Medical Liability in the Information Age, In Medical Professionalism in the New Information Age, eds. Rothman, D.J., Blumenthal, D. New Brunswick, NJ: Rutgers University Press, 66-80, 2010. Rosenbaum, S., Teitelbaum, J. Addressing Racial Inequality in Health Care, In Policy Challenges in Modern Health Care, eds. Mechanic, D., Rogut, L., Colby, D., Knickman, J. Rutgers University Press, 2005. Rosenbaum S. Medicaid Payments and Access to Care. N Engl J Med. 2014 Dec 18;371(25):2345-2347. Rosenbaum, S. Medicaid and Access to Health Care-A Proposal for Continued Inaction? NEJM, Jul 14 2011, 365(2): 102-104. Rosenbaum, S. Medicaid and Access to the Courts. NEJM, Apr 21 2011, 364(16): 1489-91. Rosenbaum, S. Medicaid and National Health Care Reform. NEJM, Nov 19 2009, 361(21): 2009-12. Arrow, K., Auerbach, A., Bertko, J., Brownlee, S., Casalino, L., Cooper, J., Crosson, F.J., Enthoven, A., Falcone, E., Feldman, R.C., Fuchs, V.R., Garber, A.J., Gold, M.R., Goldman, D., Hadfield, G.K., Hall, M.A., Horwitz, R.I., Hooven, M., Jacobson, P.D. Rosenbaum, S. A Dose of Reality: Assessing the Federal Trade Commission/Department of Justice Report in an Uninsured, Underserved, and Vulnerable Population Context. JHPPL, 2006, 31(3): 657-70. Teitelbaum, J., Burke, T., Rosenbaum, S. Olmstead v. L.C. and the Americans with Disabilities Act: Implications for Public Health Policy and Practice. Public Health Reports, 2004, 119(3): 371-4. Rosenbaum, S., Teitelbaum, J. Civil Rights Enforcement in the Modern Health Care System; Reinvigorating the Role of the Federal Government in the Aftermath of Alexander v. Sandoval. Yale J of Health Policy, Law, and Ethics, 2003, 3(2): 215-52. Teitelbaum, J., Rosenbaum, S. Medical Care as a Public Accommodation - Moving the Discussion to Race. American J of Law and Medicine, 2003, 29(2-3): 381-94. Hall, M.A., Rosenbaum, S. (eds.). The Health Care Safety Net in a Post-Reform World. New Brunswick, NJ: Rutgers University Press, 2012.